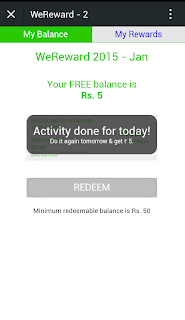 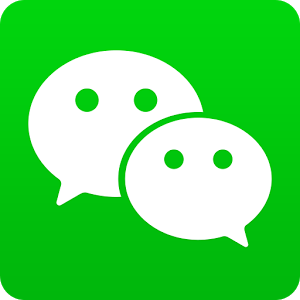 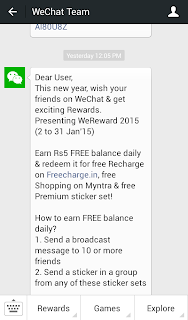 Its again time wechat offer back to give you free recharge with simple and easy way to earn recharge. 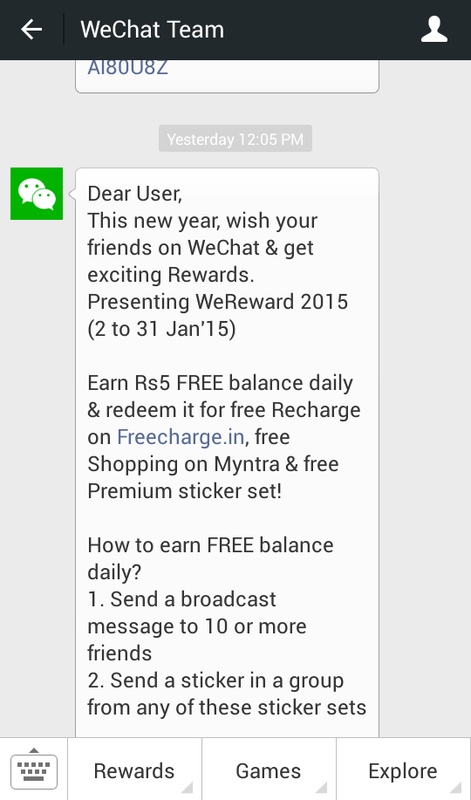 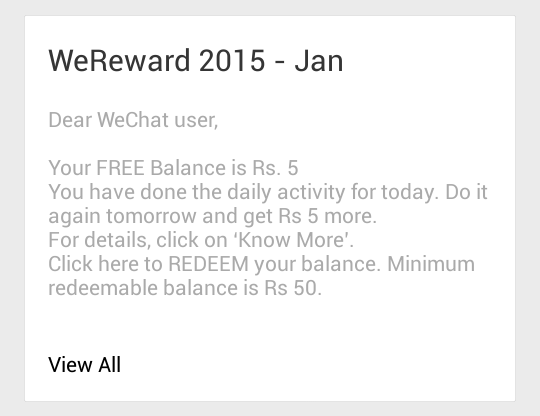 This new year, wish your friends on WeChat & get exciting Rewards.Presenting WeReward 2015 (2 to 31 Jan'15) Earn Rs5 FREE balance daily & redeem it for free Recharge on Freecharge.in, free Shopping on Myntra & free Premium sticker set! First of all How to earn FREE balance daily?